New Column: 'Made in Sweden' --An Ongoing Look at the Early Swedish Death Metal Scene! 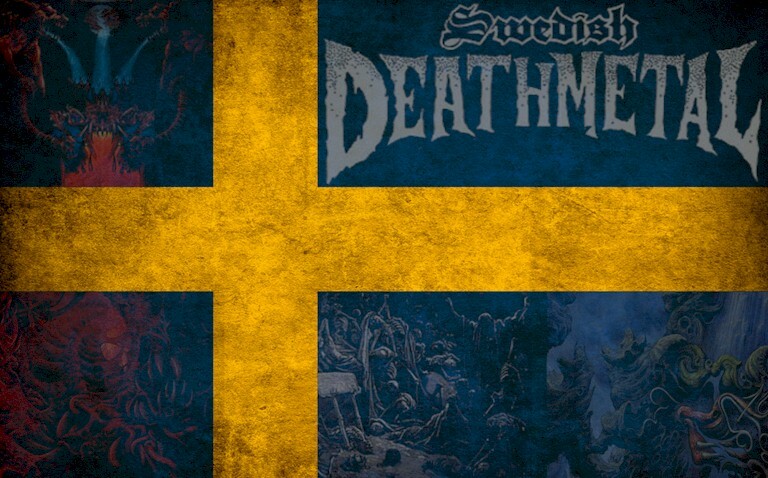 It's only fitting that our first issue of the new Maximum Metal column "Made in Sweden" focuses on the tome that provoked it -"Swedish Death Metal" by Daniel Ekeroth. What is Swedish Death Metal? What is the fascination? What in the bloody Hell happened to the kids in Stockholm? Ekeroth offers an abundance of rich, scholarly texts deciphering one of metal's most energetic and awe-inspiring moments in time. It's aptly titled "Swedish Death Metal" for a reason. Ekeroth gives it all to us--glorious, gut-wrenching, defining as it is--in one extremely heavy volume of tunes and tombs. 'Like an Everflowing Stream' is 26 years old and remains a legendary piece of not only Swedish death metal but extreme metal as a whole. Aside from Entombed's 'Left Hand Path', it could be considered the father of the genre. Dismember would go on to a storied career that lasted until 2011 and encompassed eight studio records and global touring that stretched from Asia to North America. Not too shabby for a bunch of Hell raising, beer drinking kids from Stockholm. · Nuse · Prowler Inc.